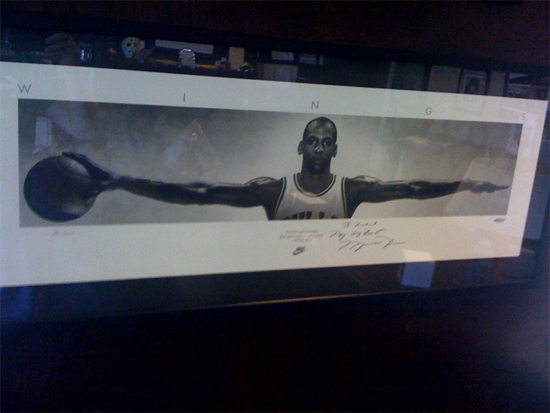 If you looked closely, you spotted two items on the wall: autographed pieces of Tiger and MJ. Let’s take a closer look. 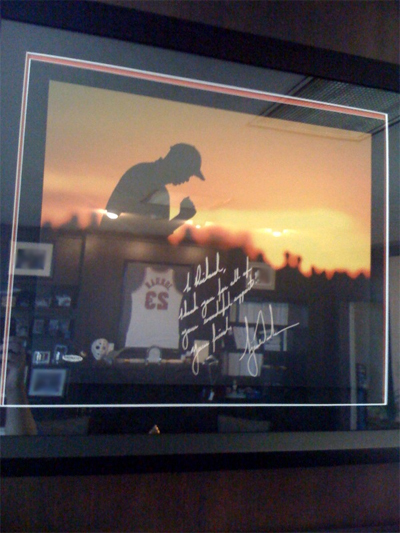 This piece was actually personalized for Richard during Tiger’s first signing with Upper Deck. 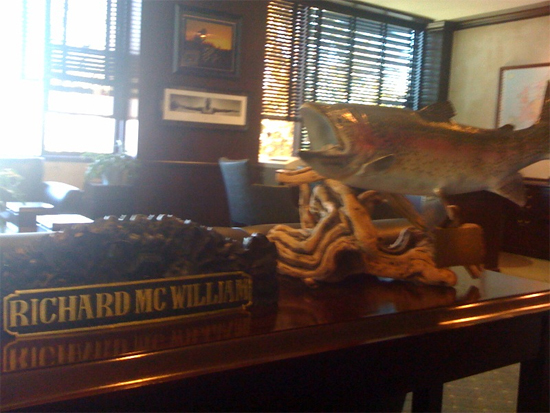 He’s definitely been one of our most loyal spokesmen since coming on board. 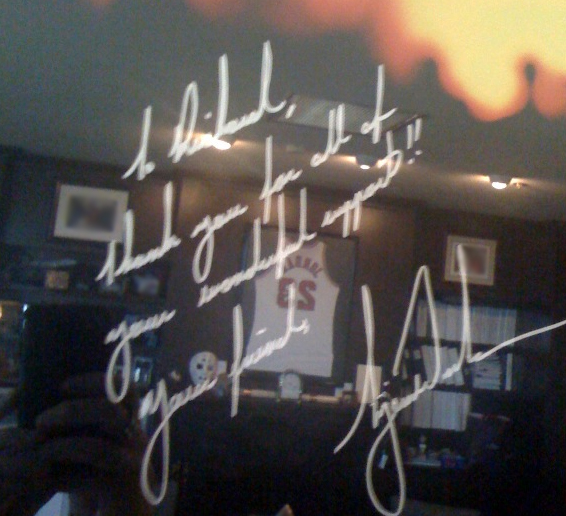 Just as we enjoy a strong relationship with Tiger, Upper Deck has been working with Michael Jordan for many, many years. In fact, Upper Deck signed Jordan before his peak years and the fame that followed. Richard had an inclination that Jordan was going to be one of the greatest players in the history of the game, and that definitely came true. 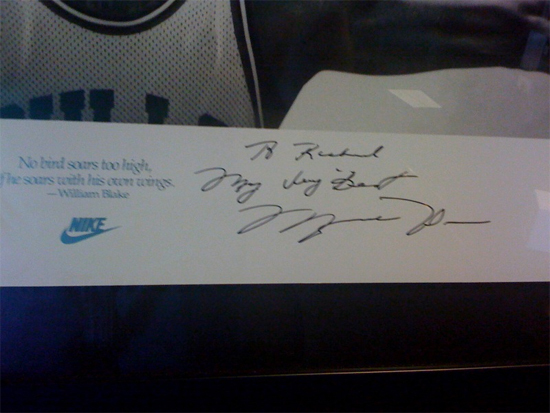 Personalized autographs from the best golfer of all time, and the best basketball player of all time. Not a bad start. Check back next week for more! My Internship at Upper Deck was a Home Run! Tiger-Jordan, Dual-Signed Card Winners Announced!